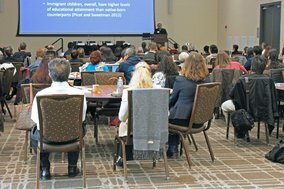 The Gifford Center co-sponsored the Migrant Labor and Global Health conference March 2-3, 2017 at UC-Davis. 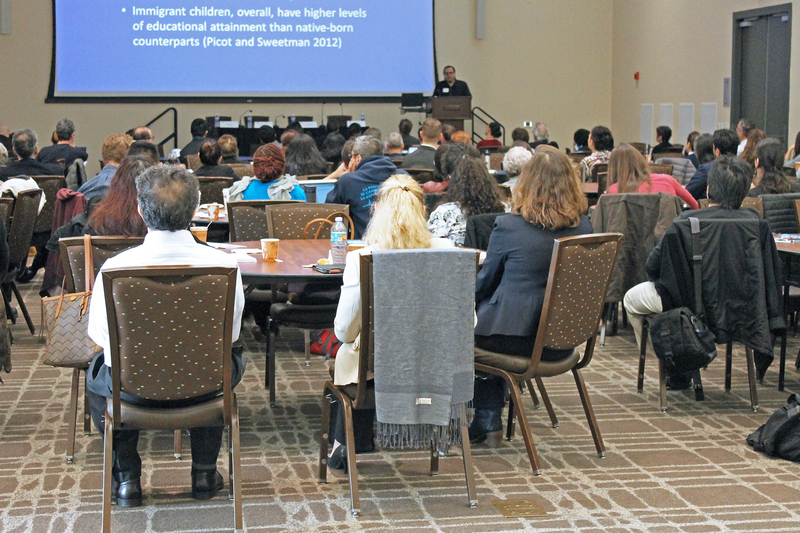 Over 200 participants heard that there are almost a billion migrants worldwide, including three-fourths who move within countries, usually from rural to urban areas. Another 244 million migrants stay outside their country of birth a year or more. The UN's migration agency, the International Organization for Migration, reported that there were 244 million international migrants in 2015, so that 3.3 percent of the world's 7.3 billion people were outside their country of birth for a year or more. People are considered international migrants if they are abroad at least a year regardless of their reason for being abroad, legal status, or plans to settle or return. The IOM is a non-normative organization whose priorities and funding are provided by 166 member states; IOM will play a key role in crafting the UN's Global Compact on Safe, Orderly, and Regular Migration. There are four major migration corridors: movement from one developing country to another is south-south, from a developing to an industry country is south-north, from one industrial country to another is north-north, and from an industrial to developing country is north-south The largest group of migrants moved from south to south, 38 percent, while 34 percent moved from south to north, 22 percent moved from north to north, and 14 percent moved from north to south. This means that two-thirds of international migrants are in the industrial countries that have a seventh of the world's people. Most migration is economically motivated, as migrants seek higher wages and more opportunities. IOM Director General William Lacy Swing said: "Migration is not a problem to be solved, but an opportunity to be managed" to be safe, orderly, and regular, in order to protect migrants and benefit both sending and receiving countries. The UN's Sustainable Development Goals include indicators to measure progress to reduce occupational injuries suffered by migrants (8.8.1), to improve migrant labour rights (8.8.2), and to reduce recruitment (10.7.1) and remittance costs (10.c.1). About two-thirds of international migrants are employed abroad, and they often fill so-called 3-D jobs, dangerous, difficult, and dirty. These jobs are usually with employers who do not provide health insurance for off-the-job illnesses and injuries. The combination of migrant workers who may have a precarious legal status and are employed in 3-D jobs leads to higher-than-average rates of illnesses and injuries, as in agriculture and construction. Migrant workers face difficult trade offs: should they complain about repetitive motion injuries or chemicals in cosmetics and risk losing their jobs or continue to work to earn the higher wages they sought via migration? Migration has always meant change in everything from food to religion. Aging societies often resist change, which is one reason older voters tend to be more anti-migrant than younger voters. The year 2017 is critical for migration in Europe and the US, and the outcome of elections in Europe will help to determine whether predictions that the number of international migrants will surpass 400 million by 2050 are realistic. Some say that multinationals will keep open the doors to migrants by arguing that demographic and economic needs are more important than fears of competition from migrants, cultural changes and terrorism. Others say that the examples of Japan and Eastern Europe show that some countries can insist on few migrants. With nativism a key ingredient of nationalism, us versus them could intensify. Elections will determine whether nationalists and anti-migrant political parties enter governments in France, Germany, the Netherlands and other countries in 2017. If such parties enter government, how will they respond to the generally pro-migrant decisions of the European Court of Justice, that is, could there be more exits from the EU? In the US, the practice of managing migration by executive order rather than legislation is being ramped up by President Trump, with Democratic states challenging Trump's executive orders. Many migrant advocates are disappointed with ex-President Obama, associating him with 2.5 million deportations and the now-precarious status of 750,000 DACA recipients. In 2007 and 2013, the Senate approved comprehensive immigration reform bills with three elements, viz, more border and interior enforcement, a path to citizenship for unauthorized foreigners, and new guest worker programs. President Trump issued executive orders to step up border and interior enforcement and to reduce refugee admissions to 50,000 a year. There is little immediate prospect of another comprehensive immigration reform bill that includes a path to citizenship. Instead, there is likely to be a sustained initial effort to deport unauthorized foreigners followed by efforts to reduce legal immigration by eliminating preferences for more distant family members such as the adult brothers and sisters of US citizens and instead admit more foreigners via a point system.